Unicorns have always been pretty special, I know. But I think now that I have a little girl, I’m seeing them in a whole new light. Having kids changes everything doesn’t it? I’ve even grown to like the color pink, though I promise you, these crafts don’t require any pink if you don’t want it! 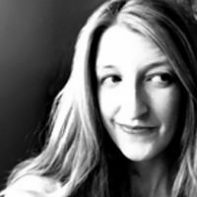 These projects do require a little dose of magic, and I would say a love of rainbows and glitter can go a long way on these crafts. Whether you try the piñata or go for the full-on costume, you have lots of options. 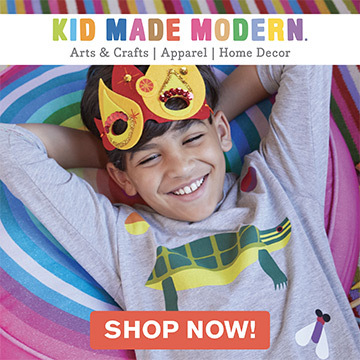 And the best part of making your own stuff: you can choose to ignore all the pink and glitter and rainbows and make them any old color or pattern that you want. Love that! 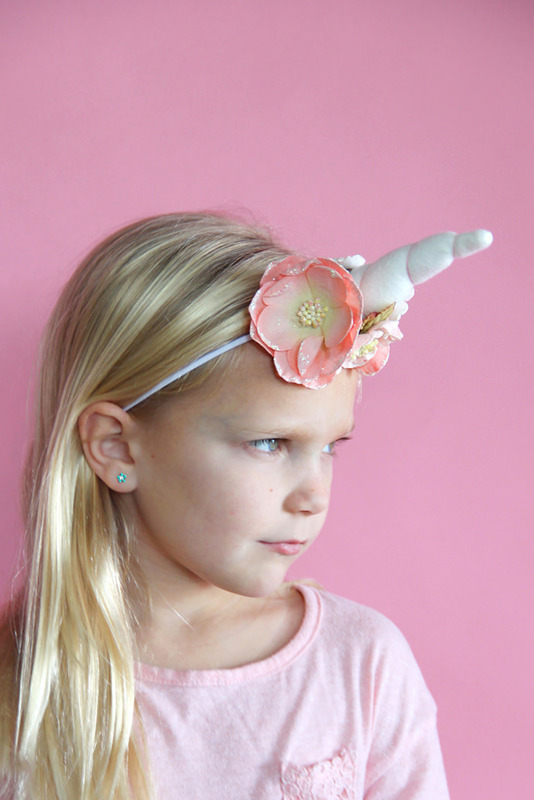 A simple project that will make any little kid feel like a unicorn in a heartbeat, love all the pretty flowers too. Animal busts are where it’s at, and this one doesn’t disappoint with all of that golden splendor! I love the different approach to the silhouette too, flat and boxy makes it feel more mod. 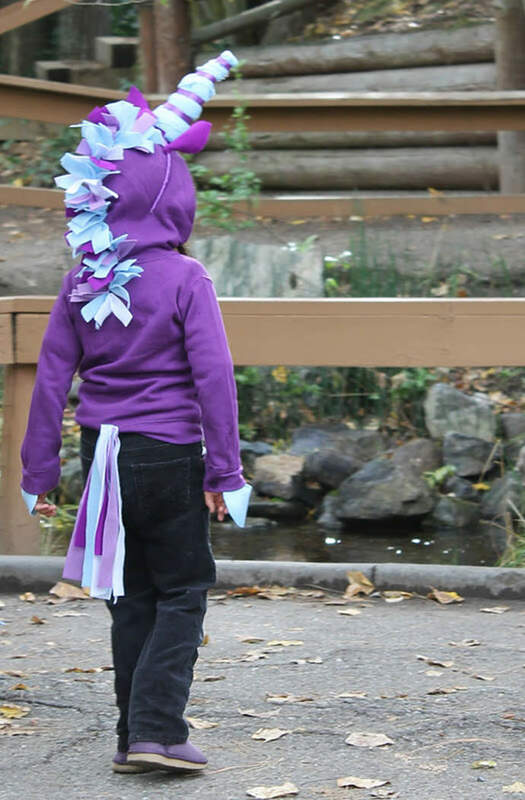 Everyone needs to upgrade their hoodies to this unicorn version! How easy to use an existing shirt and just add the details, love it! Unicorn, Pegasus, or both? Did you know a unicorn with wings is called an alacorn? You can totally have it all when you make your own. 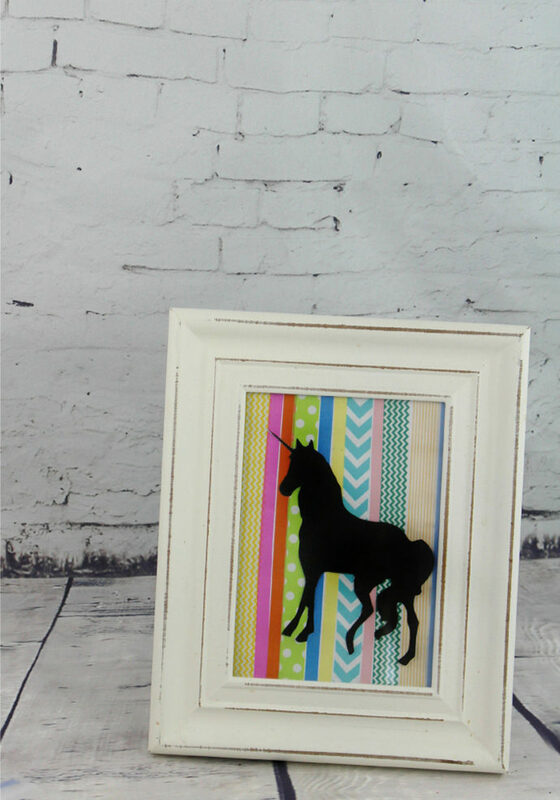 Upgrade your washi tape with this quickie wall art project. 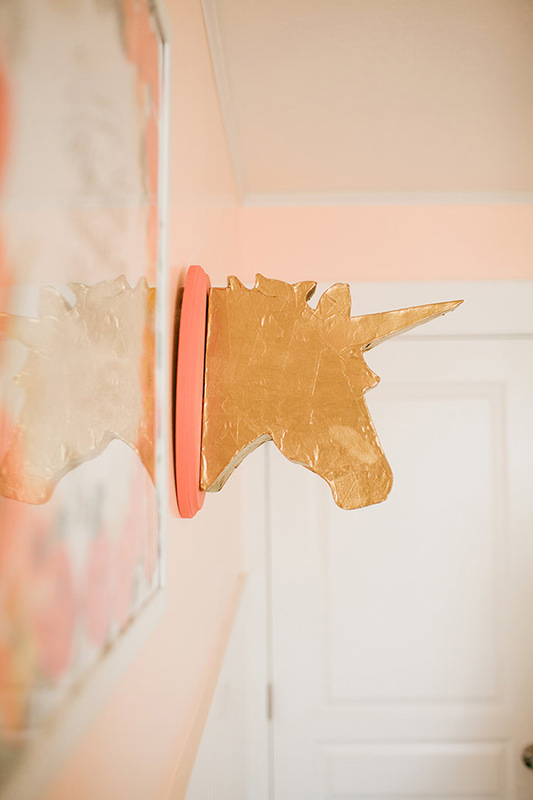 Anyone willing to make their unicorn out of golden glitter paper? I know my daughter would! 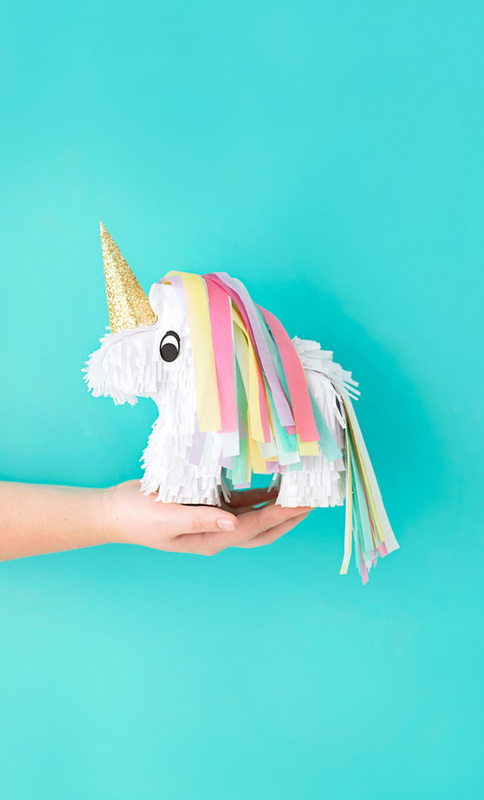 Pictured at the top of this post: Miniature Unicorn Pinata, tutorial via A Subtle Revelry. 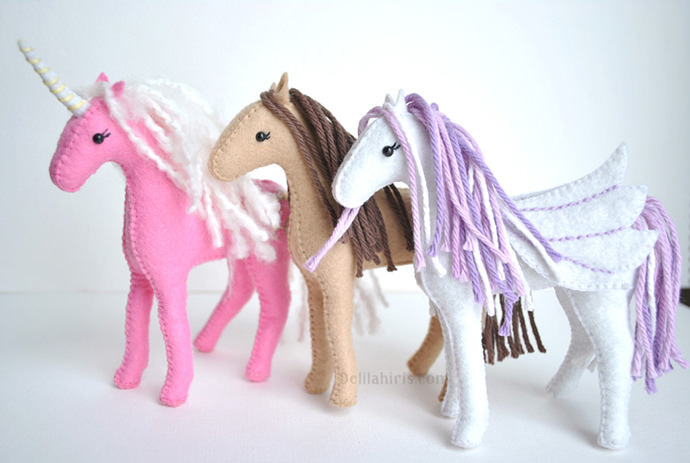 I’m really going to make these felt unicorns!